The Australian government helps you to live a peaceful life after immigration here. There is so much help provided to the immigrants here. The immigrants hardly feel isolated. The government here provides special English coaching to those who have immigrated to this country. So, you learn English pretty easily here. All you have to do is to enrol yourself in the Adult Migrant English Program(AMEP). This kind of program helps those who don’t have much knowledge of English. These kinds of classes are provided to those who know just basic English or those who want to improve their English even further. These could be the dependent applicants of a primary visa applicant. So, these people are taught English through the AMEP. As per this program, such a visa holder can get free English tuition of up to 510 hours. There are various ways, in which such a candidate can learn English. He can opt for an online learning/home based learning where an instructor visits home/learning in classrooms. You can also opt for learning at your own pace by either going to the classrooms on weekends or having night classes on weekends. This kind of flexibility is actually useful when you attend office on weekdays and don’t have time for classes. The candidates can get so many benefits after having received a PR of this country. Even after a candidate gets the PR, he is also entitled to benefits if he decides to study here. These benefits can be in the form of, discounts in case all the payments for such study programs are made in lump sum. Apart from that, some special loans are available too. These loans are available under the Higher Education Loans Program(HELP). The Australia PR holders are entitled to get other candidates on PR to this country. These candidates include their own family members. The family members can consist of their own parents or family members such as wife and children. There are so many jobs available to professionals in this country. For example, demand for computer-related professionals is high in sectors such as Professional, Scientific and Technical Services, Financial and Insurance Services, Information Media and Telecommunications and Public Administration and Safety. Employees are provided training also which is relevant for them in finding jobs in this country. Australia has the most livable cities in the world which include, Perth, Canberra, Melbourne, Brisbane, Adelaide, and Sydney. So, the cities have been ranked as amongst the best in the world. 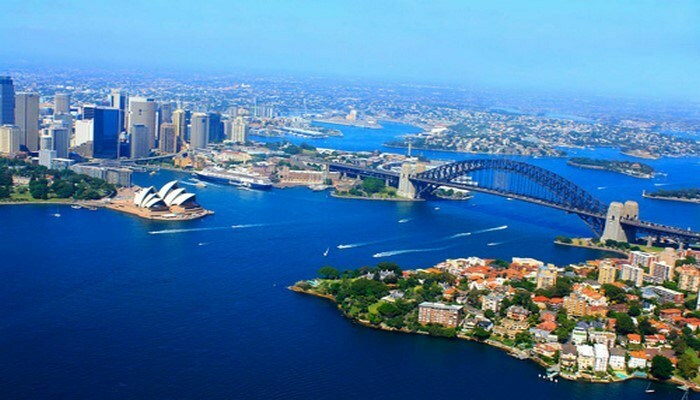 Mercer Global Mobility practice leader has concluded that Australian cities are now one of the greatest choices for residence because they allow one to enjoy an easy availability of housing. Australia also has a low population density due to only 23 million people living here. As per the latest 216 census, Australian population was only equal to 2.41 crores which are insignificant as compared to the population living in India. So getting immigration to this country is happiness ensured for your life. Australian PR Australia PR. permalink.